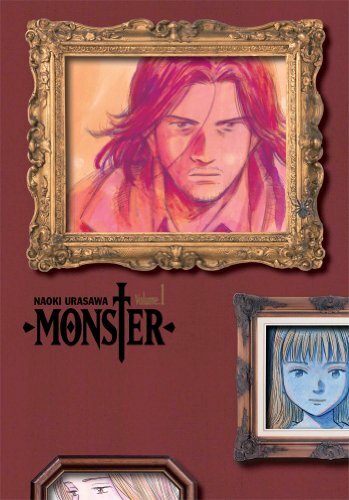 Comics In 5 Panels: Manga-Mania May: Monster. I actually got a few suggestions for mangas that I should review. Here is one; Monster. Kenzo Tenma is a young but brilliant neurosurgeon. One day, a young boy is send to operation after being shot in the head. But when Tenma is about to start the very difficult operation, he is told to leave the child to someone else, since the mayor is in need of his amazing skills. But Tenma decides to not leave the boy, since he is probably the only person skilled enough to save him. The writing is not completely flawless, but it's pretty damn close. We see this man with a guilt heavy as a mountain on his quest to atone for his fatal mistake, and it is glorious. The story is long, and it needs a lot of patience, but it is defiantly worth it. One thing that I find odd is the art, that is not very manga-like. In fact, it doesn't feels like I'm reading a manga at all. No over the top reactions, no weird faces, no silliness, none of those things that comes to mind when we think manga. Not that this is a bad thing, since it would have felt wrong to ad any of those to a dark story. And belive me, it's dark alright! Oh, and I think it is needless to say that their is a lot of gruesome things going on in this series, so it's not for the faint of heart. Tenma must many times look into the eyes of the evil of man on his quest for atonement. I find it hard to call this a manga, but this is possibly one of the best psychological thrillers I have ever read. I plan on watching the anime as well. That's all for today, 28 to go.